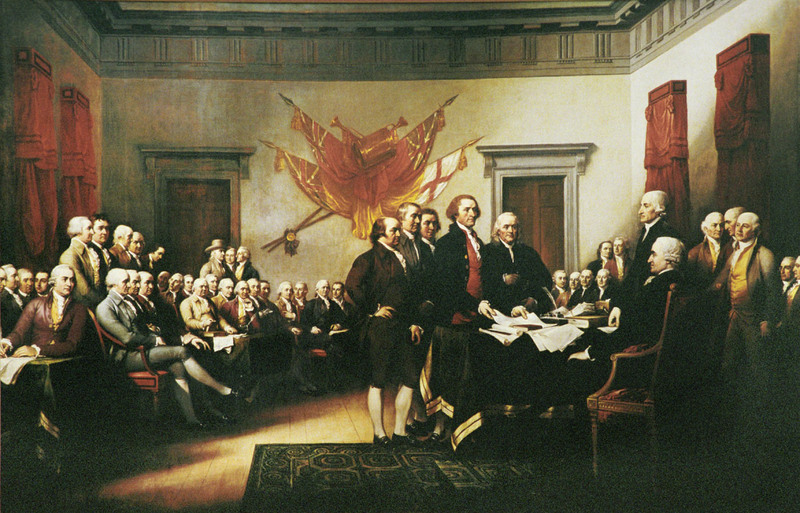 Note: 56 delegates to the Second Continental Congress signed the document across six columns by colony. As President of the congress, John Hancock's signature is in the middle. As the photo denotes, time has not been kind to the original document now on display in Washington, D.C. in the National Archives. 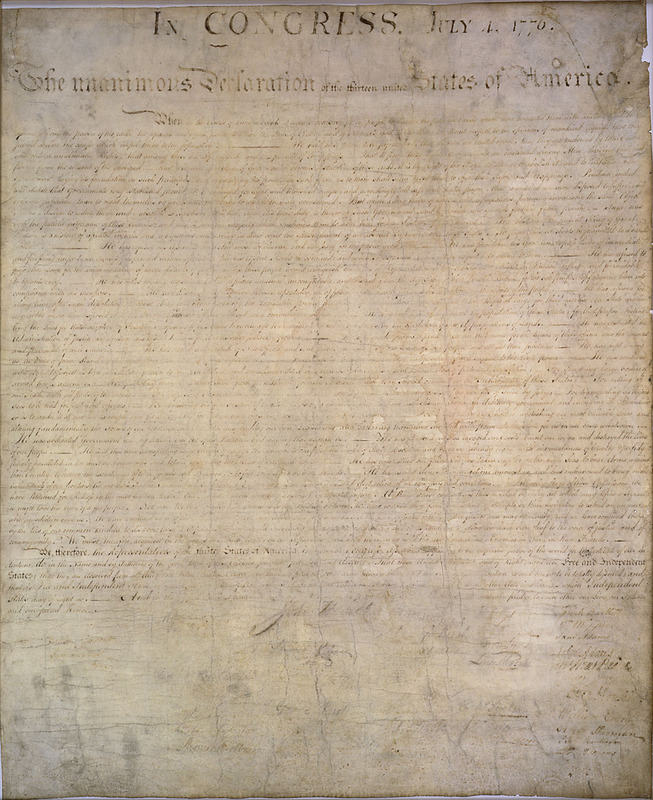 Underneath is a painting by John Trumbull of the Second Continental Congress deliberating over the now legendary document.